Anne Donovan, a Basketball Hall Of Famer who won championships at the highest levels of her sport, has died at age 56. The former Old Dominion University star and WNBA coach died of heart failure on Wednesday, her family said. “While it is extremely difficult to express how devastating it is to lose Anne, our family remains so very grateful to have been blessed with such a wonderful human being,” the family said in a statement published by the Associated Press. A 6’8″ center who was blessed with an array of physical gifts – she could both shoot from outside the lane and dominate around the basket, for instance — Donovan won a collegiate championship as a freshman at Old Dominion in 1980. She went on to win two Olympic gold medals as a player in 1984 and 1988, and a third as a head coach at the 2008 Summer Games. Donovan was the youngest of eight children – all of them tall – who grew up playing basketball together. When she was enshrined into the Naismith Memorial Basketball Hall of Fame in 1995, she took a moment to recognize them from the stage. “I’m your baby sister,” she told her sisters and brothers. Donovan was seen as a prototypical center, setting a new mold in the sport as a complete player with a wide-ranging game. Her name often comes up during discussions of the phenomenal centers who followed her, from Lisa Leslie to Brittney Griner. Donovan’s pro career began overseas, playing in Japan and Italy. In 1989, she returned to the U.S. and began a second career as a coach, first as an assistant at Old Dominion and then as the head coach of East Carolina University (from 1995 to 1998). She then went on to other head coaching jobs in both the WNBA and the college ranks. Donovan coached the Seattle Storm to its first championship in 2004, becoming the first female coach to win a WNBA title. Donovan ran into several former players last weekend, when she visited the Women’s Basketball Hall of Fame in Knoxville, Tennessee. Dawn Staley, the former WNBA star who has now won an NCAA championship of her own as a coach at South Carolina, said she was “truly heartbroken” to hear the news. Donovan was born on Nov. 1, 1961, in Ridgewood, N.J., and attended Paramus Catholic high school. From 2010 to 2013, she returned to New Jersey as the head coach at Seton Hall, after leaving the WNBA’s New York Liberty. 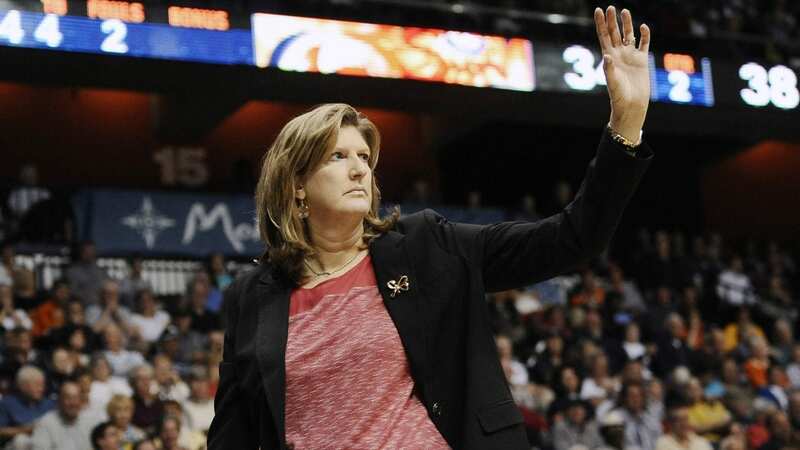 She retired from coaching in 2016, after a stint leading the Connecticut Sun.